Hubei Fuxing Science and Technology is hi-tech and A-share listed consortium involved in three industries of metalwork, real estate and biophamacy with the total assets of 3.6 billion RMB. 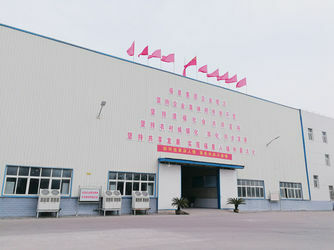 Regard to the metalwork industry Hubei Fuxing New Material Technology Co.,ltd, our main products include (galvanized) steel wire, steel wire rope, PC strand, Zinc-coated steel strand, radial tire cord, tyre bead wire etc.. We also have gained the Lloyd's Register Certificate, CE, T/S16949, ,ISO14001 and ISO9001 ect, having unparallel technology and capacity in this field of China. 1. 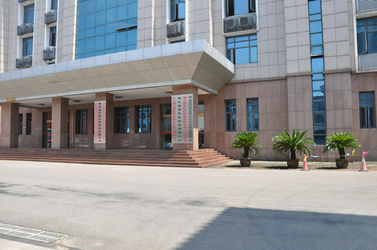 Our company is established in 1985, has 33 years rich experience in this field. 2. We have Professional technical team and experienced sales team. 3. 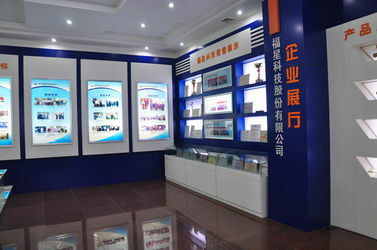 We have after-sales service department , and we could guarantee the quality. 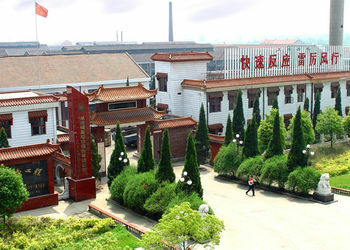 Founded in 1985, Hanchuan Steel Wire Rope Factory. Established in 1999, changed name to Hubei Fuxing Science and Technolgy Co.,Ltd, and listed on the Shenzhen Stock Exchange. 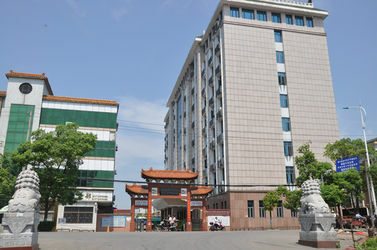 Registered in 2001, The subsidiary Company-Wuhan Fuxing Fitch Real Estate Co., LTD . 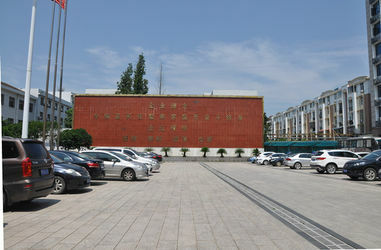 In 2001, company passed ISO9001. 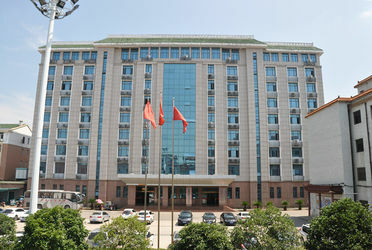 In 2002, company recorded National honest and law-abiding township enterprises. In 2004, company is awarded the National Enterprise of Good Creditworthiness. 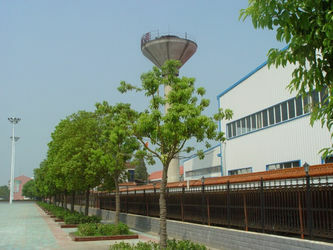 In 2005, company is awarded Hi-Tech enterprises of the National Torch Program. 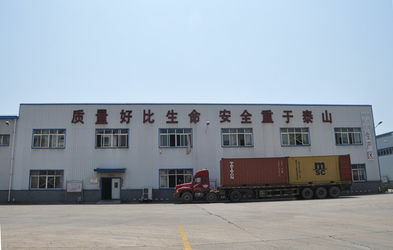 In 2006, company is awarded Chinese wire rope and related manufacturing industry leading enterprises. 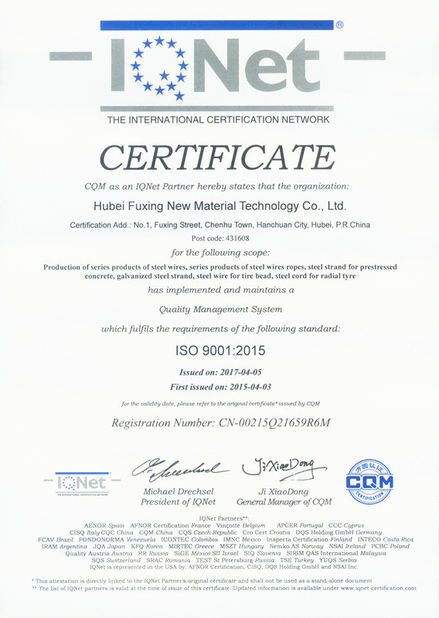 In 2006, Fuxing brand wire rope and pc strand is awarded quality exemption certificate. 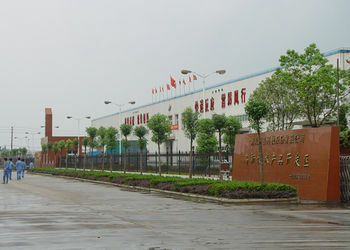 In 2007, Fuxing products is awarded Chinese Famous Brand Products. 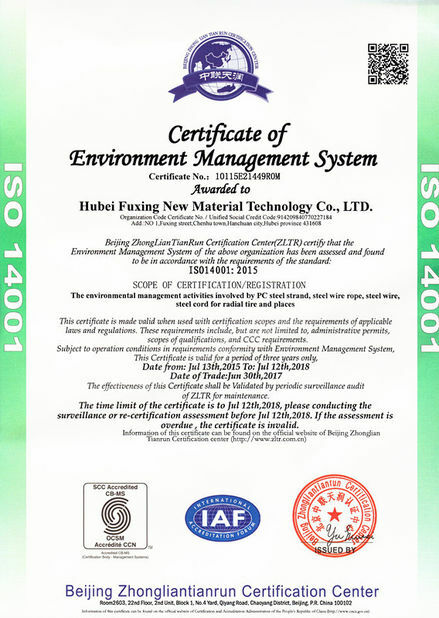 In 2013, metal industry company is independent, and changed name to Hubei Fuxing New Material Technology Co.,Ltd. Now our group company has several industries, except real estate and metal industry, we have the system of biological industry,property management company and Modern agriculture company.